Okay. Can you guys even handle this right now? Uhhh... Abbey is a genius and so good at what she does. I love her for sharing her secrets and yummiest recipes on the blog for you, for me, for your mom and friends. That's one thing most people can relate over- food. And what's better? 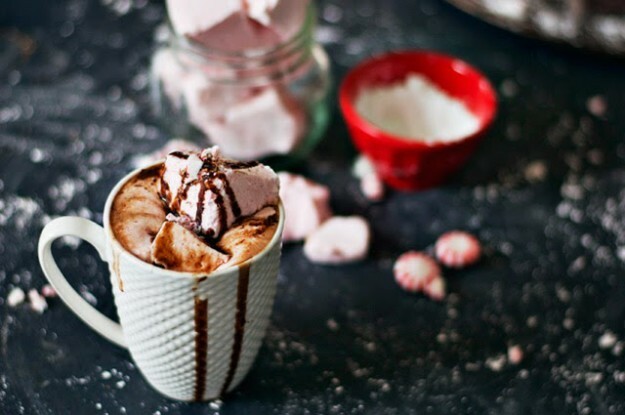 Holiday food with peppermint and nutella involved. You ready for this treat? 1. Grease an 8×8 glass baking dish with the butter and then sprinkle about 1 tablespoon of powdered sugar so it is covering the dish. In a large mixing bowl, mix 1/3 cup of gelatin over 1 cup of cold water and set aside. 5. In a small saucepan, heat your milk, heavy cream, vanilla and Nutella over medium heat. Stir with a whisk for about 5-10 minutes until the Nutella has completely melted. 6. 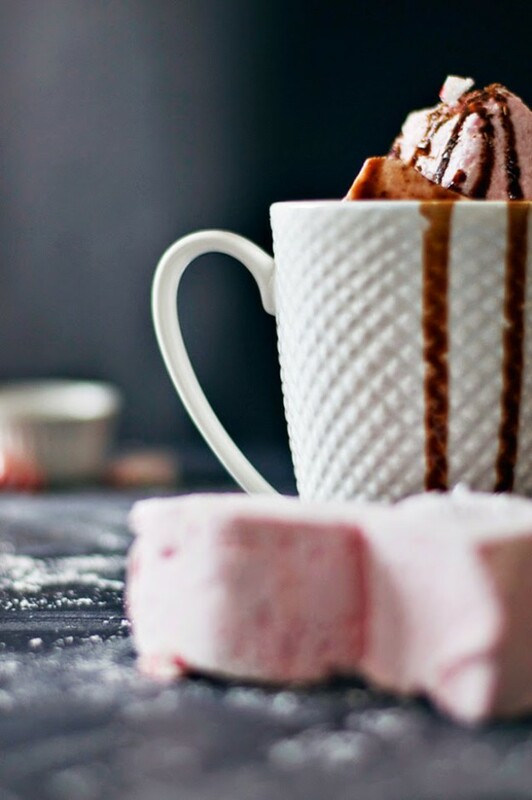 Pour your piping hot chocolate into a mug, about 3/4 full. 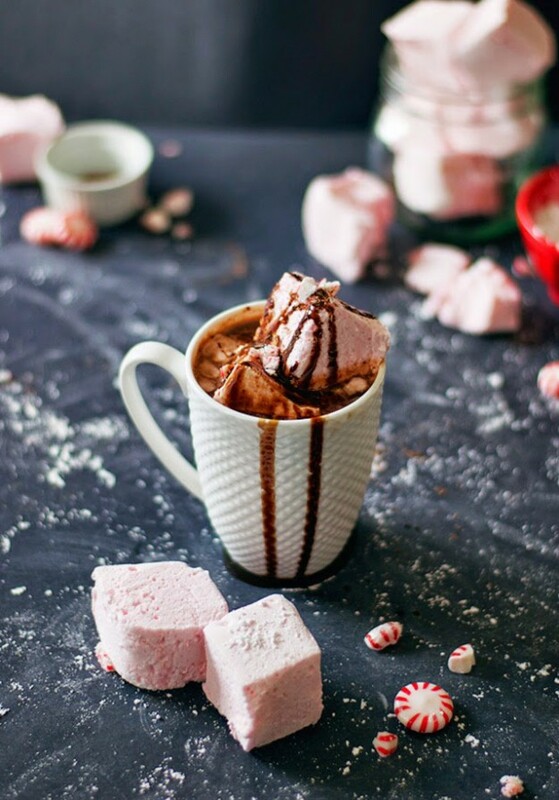 Put one or two peppermint marshmallows in, and drizzle with chocolate syrup and crushed peppermint candies for garnish if you so desire. This stuff is Christmas cheer in a cup, so savor every velvety sip and then go make a cup for someone you love!